We’ve taken this weave to the next level. 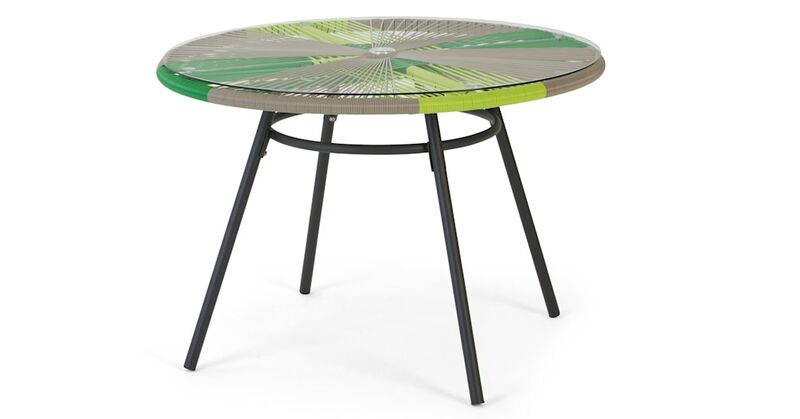 Shades of green and grey are merged together to create a playful pattern. Mesmerising. The poly rattan not only looks stylish, but also keeps things cool on hot summer days. And it’ll last all year round, so you can leave it outside, ready for the first glimpse of sun.